Quite a while ago we decided to revamp the whole imaging and preview processing, and we’re proud to introduce today ImageGeisha our new image manipulation platform. ImageGeisha unifies the image processing in fluxiom and makes browsing your assets an even better visual experience. Up to 70 times faster than before, ImageGeisha now produces thumbnails and previews for 100+ file formats including new supported formats like Powerpoint, Word or Excel. You don’t have to do anything. 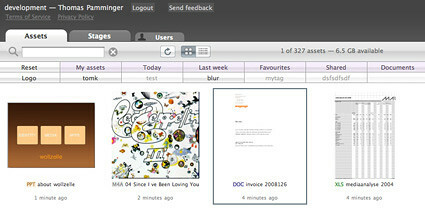 ImageGeisha already looked up all your assets in your fluxiom account and generated previews for all new formats that are now supported. You might already noticed it because we gradually added new supported formats during the past three weeks.